Our project, onCurrent.com, just had it’s own launch party. 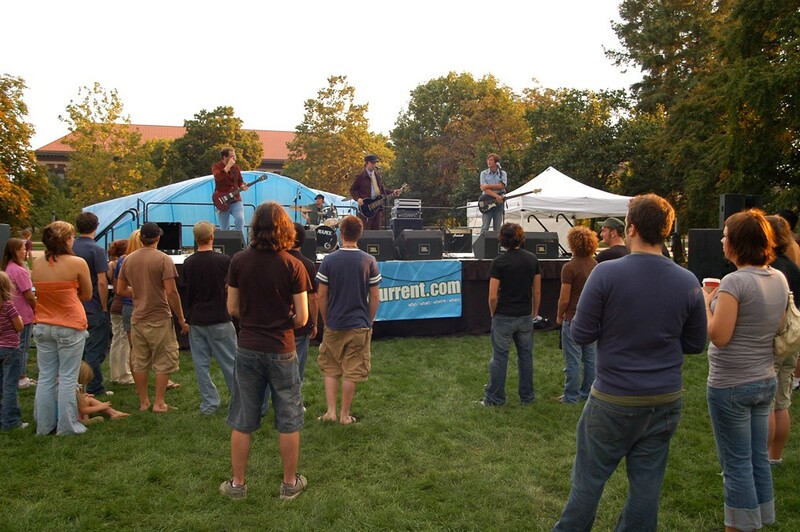 We set up everything, got a stage, bands, power, sponsors, made shirts, painted a van with chalkboard paint, and guerilla marketed all over campus with a couple buckets of sidewalk chalk. A great turn out considering we didn’t know who would show.